Whether you’re part of a small team or working for a large organization, there are always ways to fine-tune your internal manufacturing processes—sometimes with very little investment. One of these investments is oil skimming. With one new solution, your team could see improved asset performance, less downtime, and ultimately, advanced efficiency. In this post, we look at five ways environmental and process engineers can increase efficiency from start to finish—primarily with oil skimming. An important first step toward optimization is the identification of problematic areas in the manufacturing process. Are there noticeable bottlenecks? Are there recurring equipment or maintenance issues that could be solved permanently? Assigning a time and monetary value to each of these pain points can help determine whether they warrant an investment to fix. For example, are oil-clogged filters causing maintenance issues that slow your team down? How much does that downtime cost you? Once bottlenecks are identified, you can find solutions that improve production time, and are dependable and cost-effective in the long run. 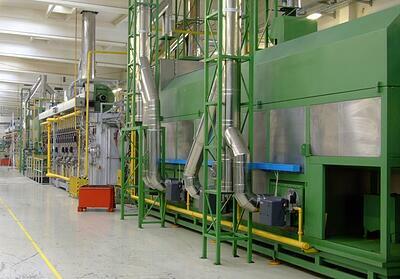 One of the biggest expenses in any manufacturing process is maintenance. Not only because of the cost of materials and man-hours involved in the repair process, but also due to the costs incurred by downtime. Companies that invest more in preventive maintenance save money and boost overall efficiency. One valuable preventive maintenance measure is oil skimming. In many manufacturing processes, water mixes with oil. If this oily mixture is allowed to continue downstream, it can clog filters and degrade machinery. The sooner you remove the oil, the fewer maintenance issues you need to address down the road. Engineers can also increase efficiencies by prolonging the life of coolant, wash solutions and cooling water. Removing the oil from these liquids saves both energy and resources, as it reduces costs and downtime associated with replacement and maintenance. It also lowers overall consumption of water and coolants. Complying to environmental and health regulations helps avoid wasted time dealing with related legal ramifications and the need for consequent modifications to your production line. Removing oil from process and wastewater with oil skimmers reduces pollutants in your waste stream and will contribute to a more environmentally friendly business. A healthy workforce is integral to the efficiency of any business. Following safety regulations and good workplace ergonomics reduce the number of workplace accidents and minimize the need for sick leave. Removing oil from water can have the added benefit of improving the work environment. When left too long in wastewater, oil can trap anaerobic bacteria that lead to foul smells and skin disorders. By removing this hazard, you can improve employee satisfaction and morale, which in turn increases work quality. While these five tactics are not the only ways of improving your manufacturing efficiency, they can quickly improve your bottom line. Implementing oil removal solutions can enhance equipment performance, keep your team healthy and happy, and ensure smooth operations. Take the first step toward optimizing your manufacturing process, and contact us today.